Once upon a time, I was encouraged to start this blog, and then there came supporters and one of them was Atlanta Rocks! I made it a mission to visit this gym that gave me such awesome vibes. Nine months later, my day came, and the gym was even more than I dreamed of. Well laid out gym, good use of space! Why? This gym has heart and soul along with many other great characteristics. 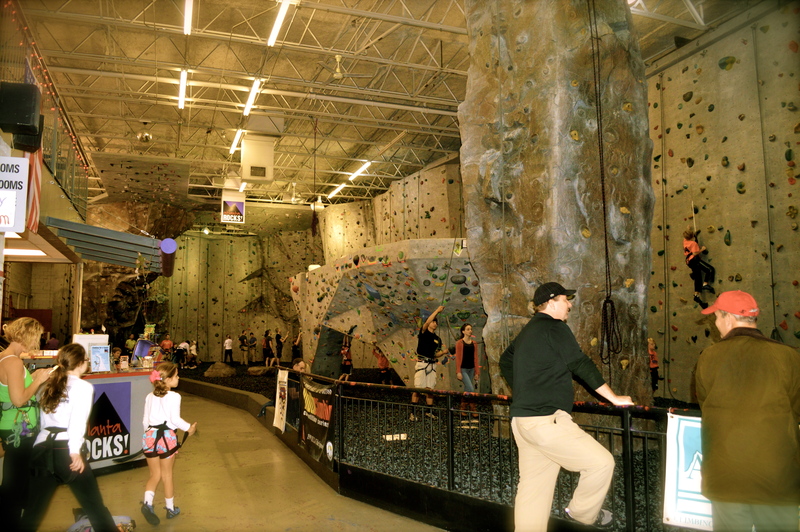 I would say tops at this gym are (1) exceptional staff, (2) quality routes that really teach you how to climb and climb well, and (3) operations: this place is just run so well, from gym layout, to checking in/out, belay testing, and so on, you can tell everything was well thought out. A 12,000 square-foot-plus facility, with gym, private and additional party rooms, locker rooms, showers, etc. Reasonable fees, convenient hours of operation, and a decent selection of guide and textbooks. Staff – The staff treated everyone who walked through the door like family. We sensed such a positive environment, which started with the staff. Their positive energy just sets the gym’s vibe, which is a nice change of pace than what I am used to seeing at other gyms. Go Green! – The floor of the climbing area is filled with chopped up Converse sneakers and recycled tire rubber. Yup, scrap tire and sneaker rubber recycling makes this gym awesome. 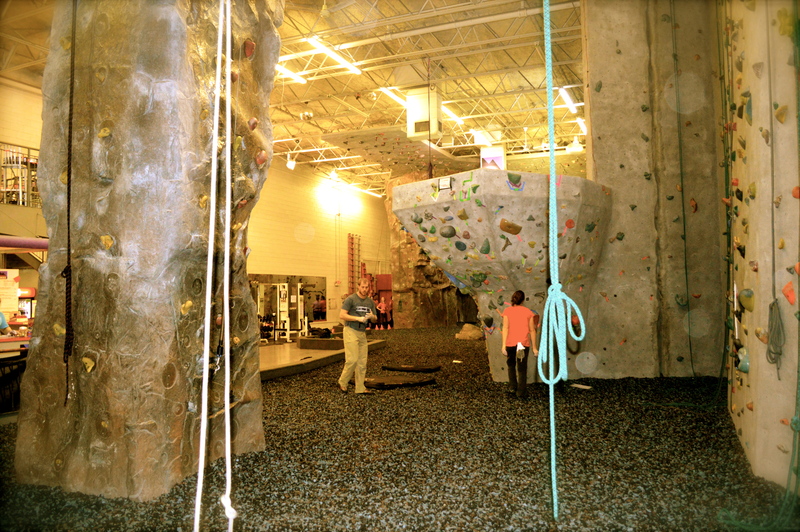 Smart Belay Testing – We discussed the belay (TR and Lead) test process and were quite impressed with the gym’s focus. They want to make sure particularly in leading that the climber is competent in not just the act of leading but in climbing ability, because one is likely to make better decisions while on the sharp end. They do not require a specific belay technique, but one must demonstrate belay competency, obviously showing a solid and constant break hand. Top Rope Belay Testing – No reservations needed, one must demonstrate competence in tying a figure-8 and know what to look for in their belayer (aka, double-backed harness, etc.). The climber must take two announced and two unannounced falls. Lead Belay Testing the Smart Way – After passing the TR belay, for the lead test, one must be able to flash a 5.9 on lead. Why? If you can do this, generally you will be able to make good decisions, like foot placement around the rope, making sure you are not back-clipping or z-clipping, making sure you set up safe and good clipping stances while also still trying to climb. Also, for the belay, a member of their staff serves as the climber and one must be able to pick up on a back and z-clip, because they will do it when you least expect it! And you must be able to catch an announced and unannounced fall. Use of Gri-gris – Although Gri-gris are allowed, all belay tests must be with an ATC. 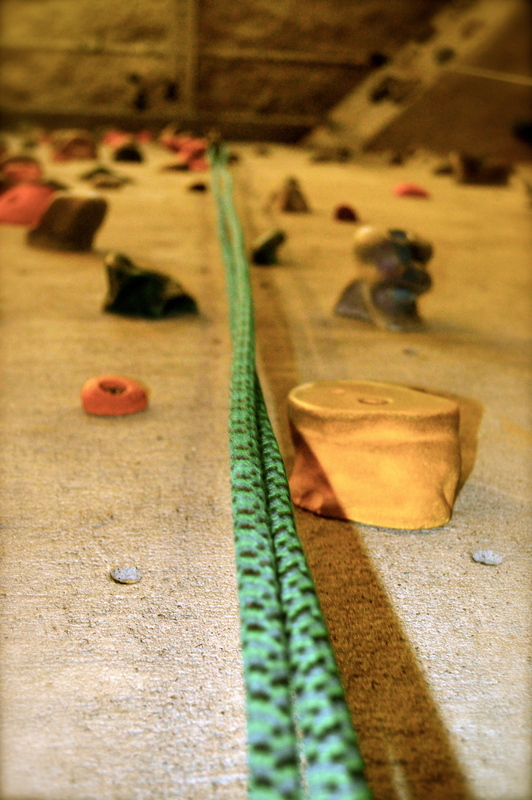 Quality Route Setting – First, the routes are set to mimic grades outdoors. So nothing is soft here, and everything is thought provoking. We tested out a bunch of routes and I have never climbed so many exciting routes even in the 5.7s, yes, they all had really fun moves and are set to actually teach people to…yes climb! They even have a section where the routes end up on the ceiling, for some serious overhang training! 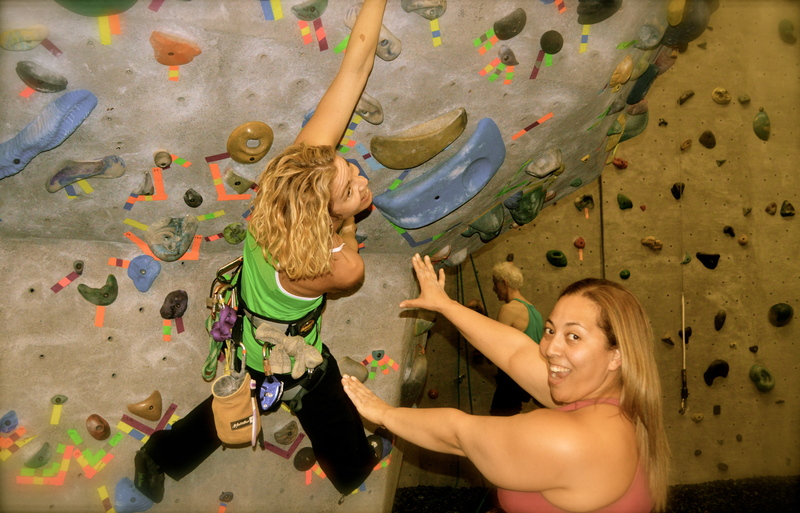 By far, other than customer service, we truly enjoyed the routes at this gym, a gazillion kudos to Atlanta Rocks! there are also some nooks (small caves) imbedded in climbing areas, which are a clever use of wall space. Thus, there is a good amount of bouldering for good sessions there. 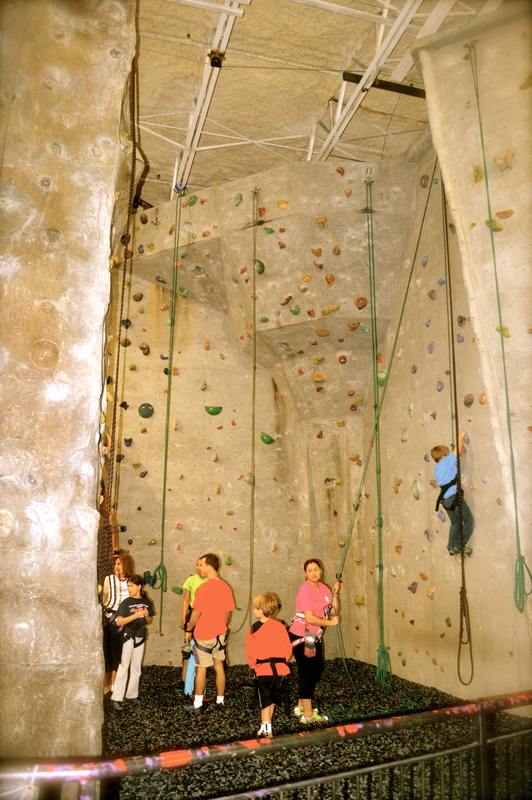 Diverse Programs – Not only do they have birthday parties and camps, but they also have family night, a special after-school/home schooler program, a program for novice climbers, and more. 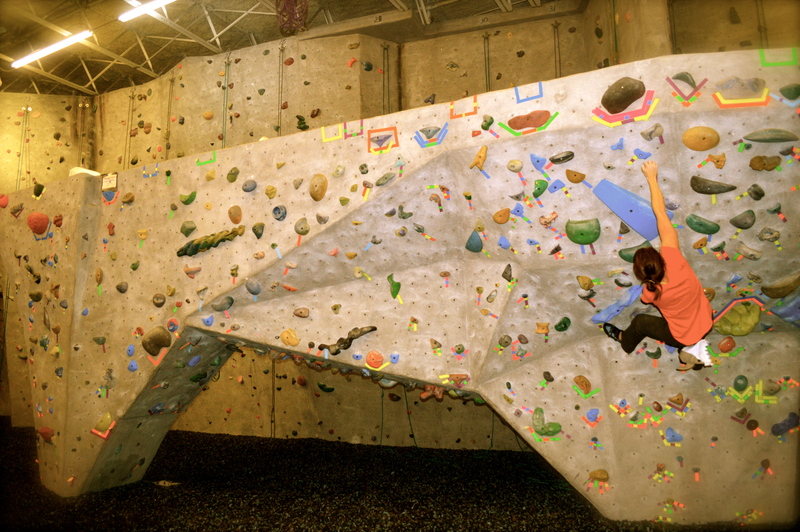 Lead climbing – Just fyi…they provide ropes at Atlanta Rocks! and do not allow ropes from outside the gym. This is smart; they make sure the ropes being used in their gym are in tiptop shape. Our experience at Atlanta Rocks! was beyond fun and when I visit this area, I will only go to this gym. They may not have 100-foot-tall walls, but they make up in everything else and have stolen my heart. When you visit Atlanta, make sure to visit the folks at Atlanta Rocks! I promise I am a good spotter! 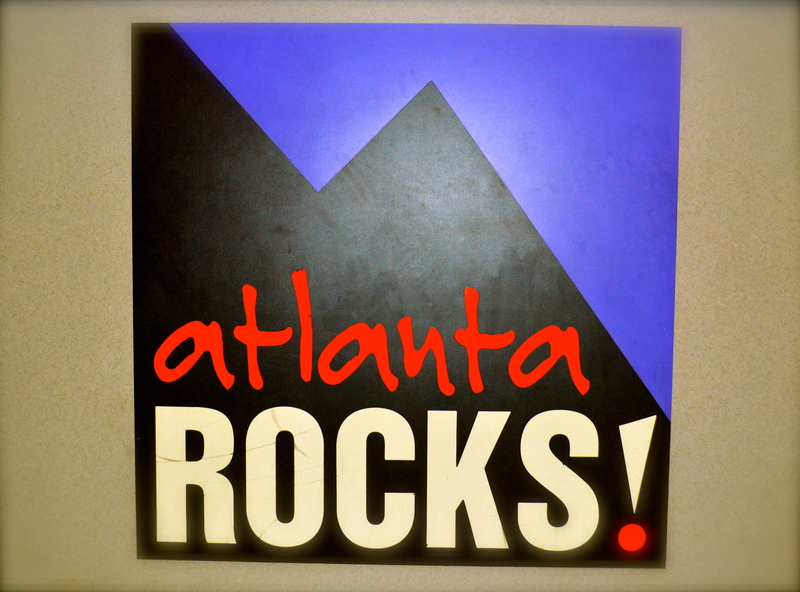 Check them out at www.atlantarocks.com and make sure to “Like” their Facebook page. Go Atlanta Rocks!